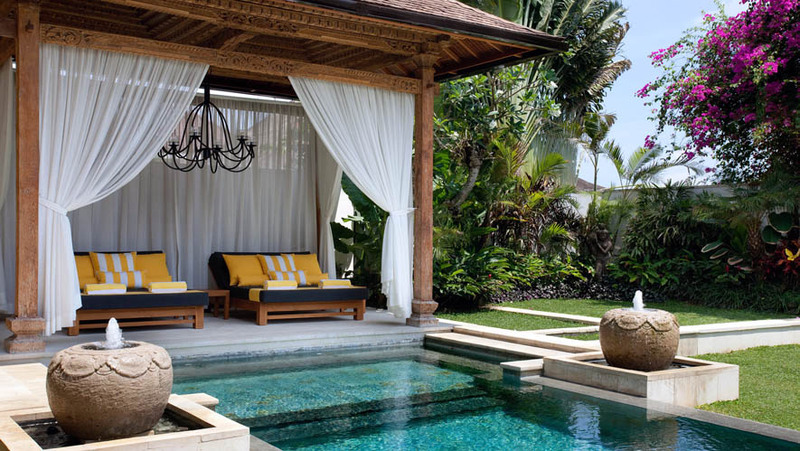 Wading area at end of pool. 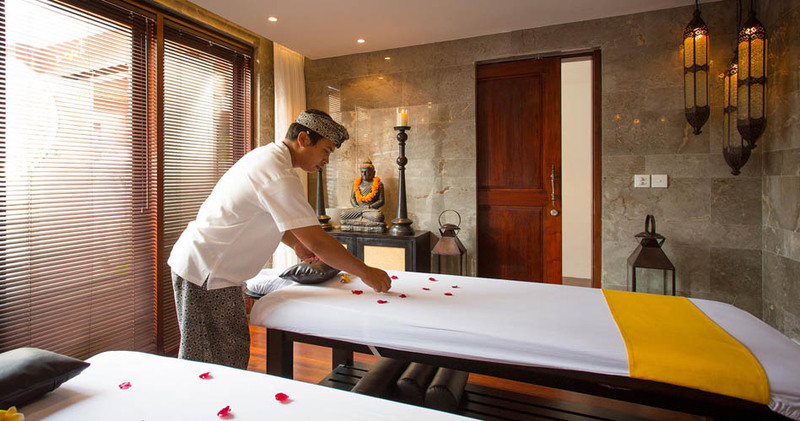 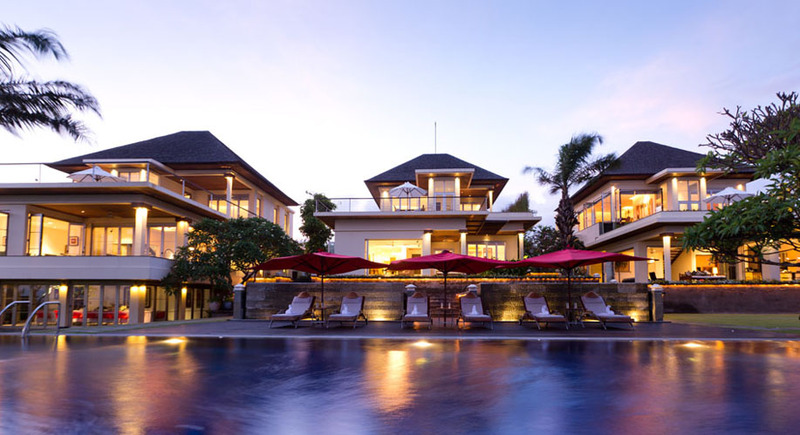 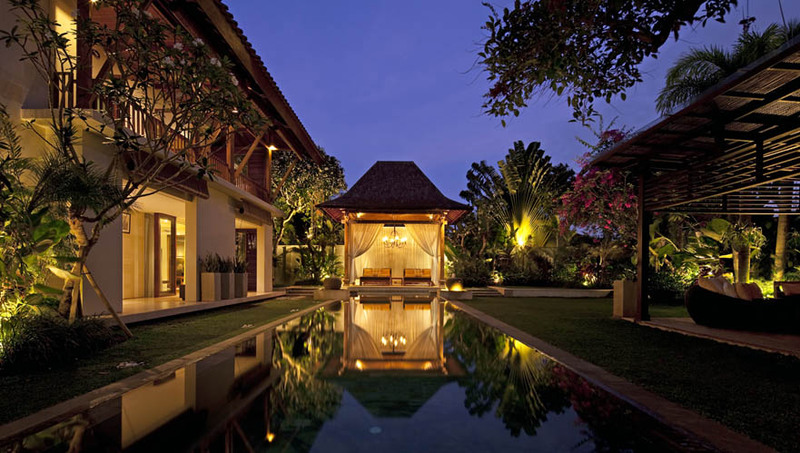 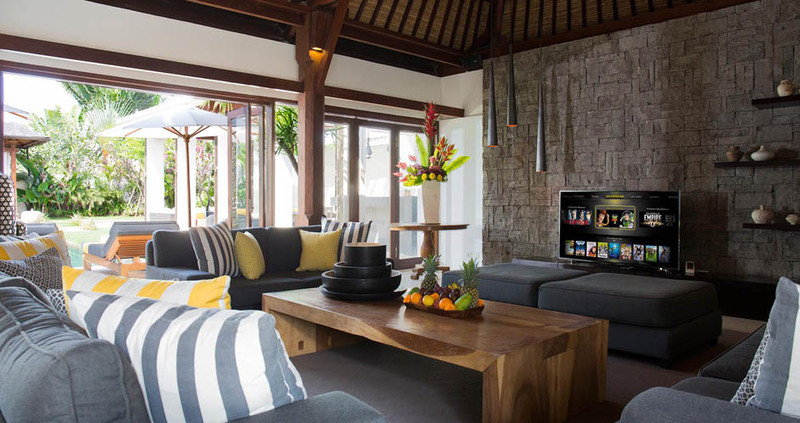 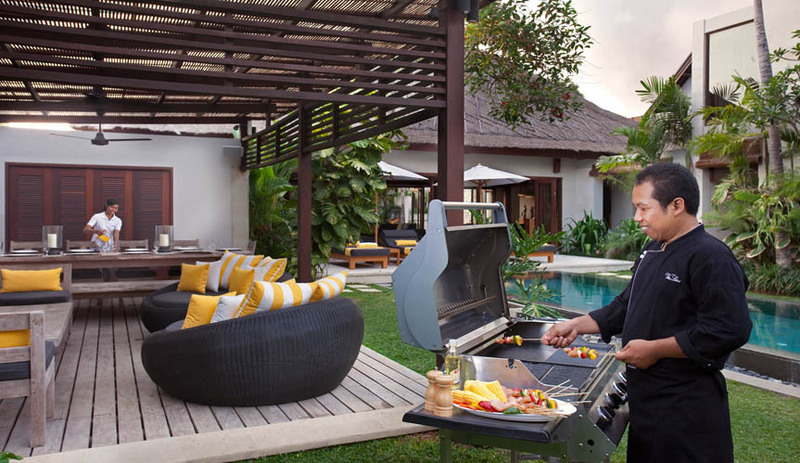 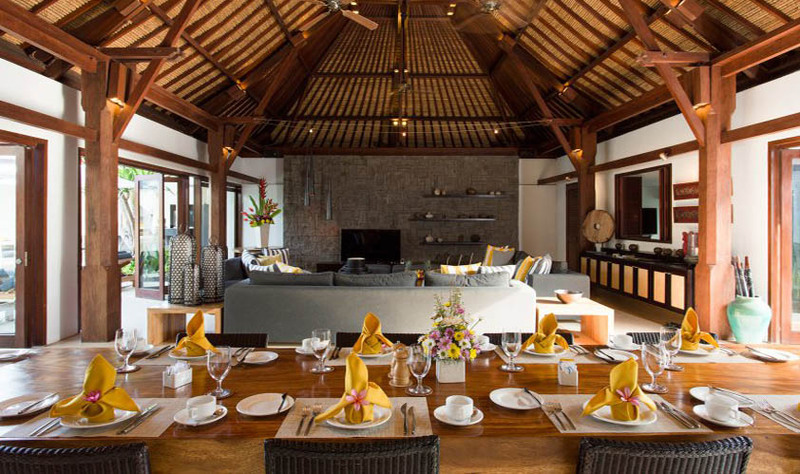 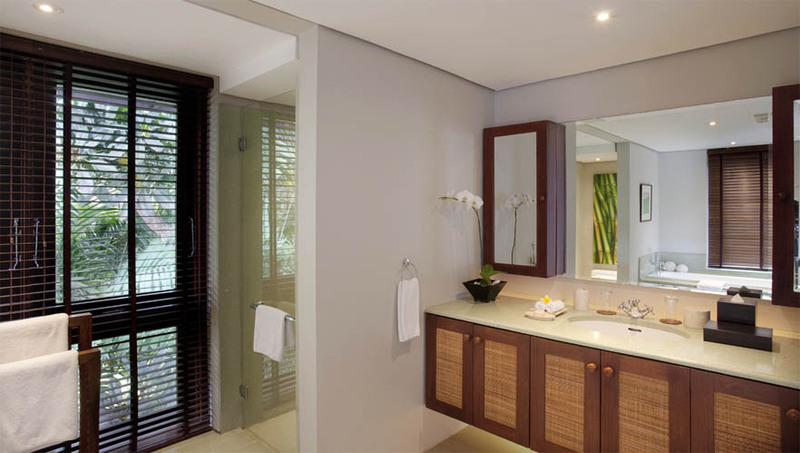 This wonderful villa offers all the best from Bali regarding luxury, services, comfort and location. 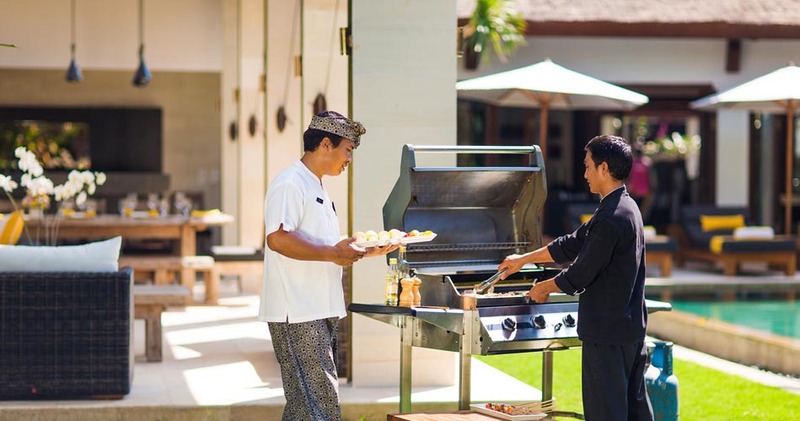 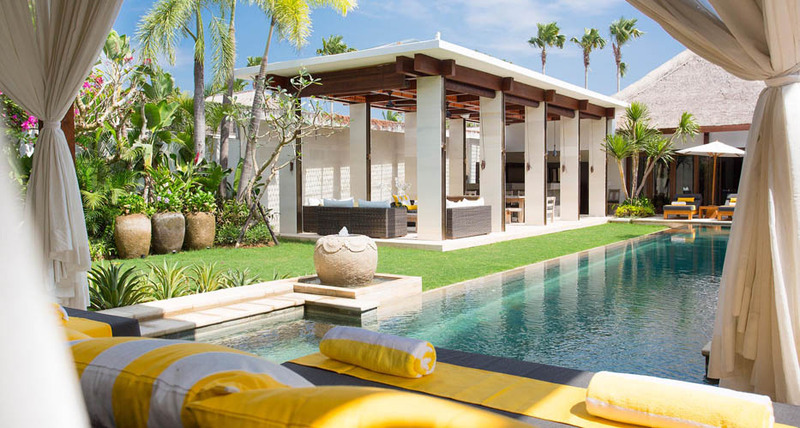 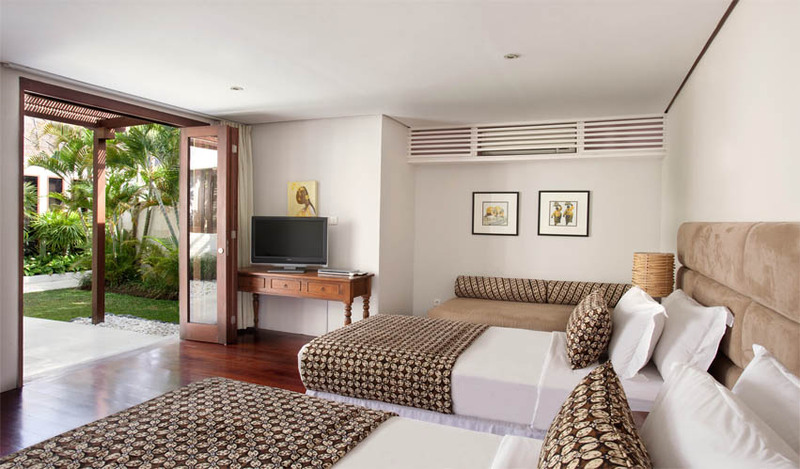 It features an exceptional situation a short stroll away from the ocean and from the very heart of cosmopolitan trendy vibe of Bali, Seminyak. 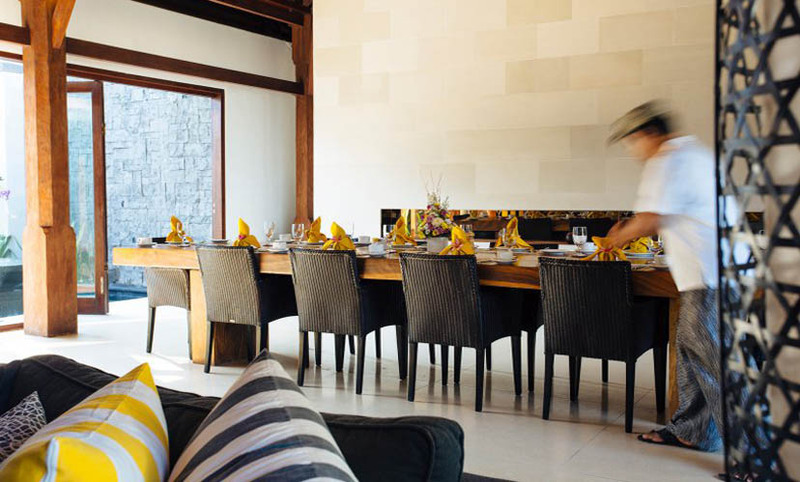 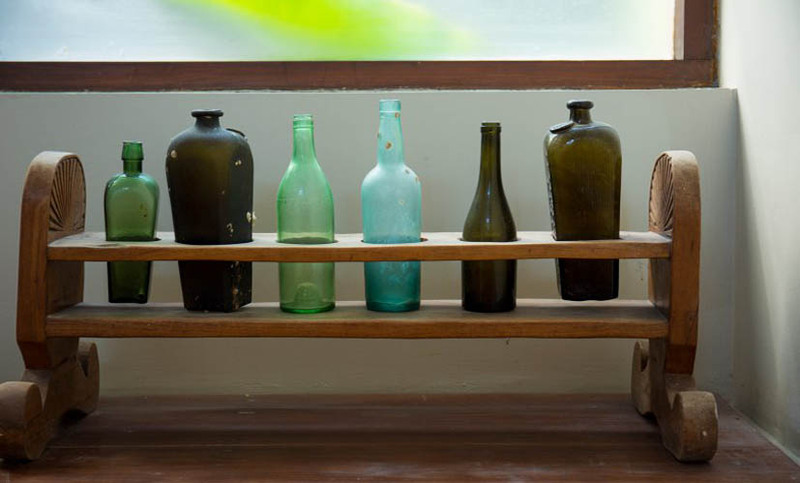 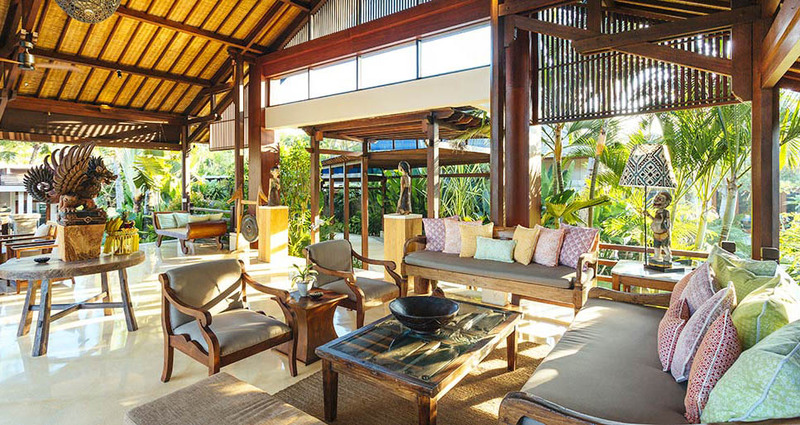 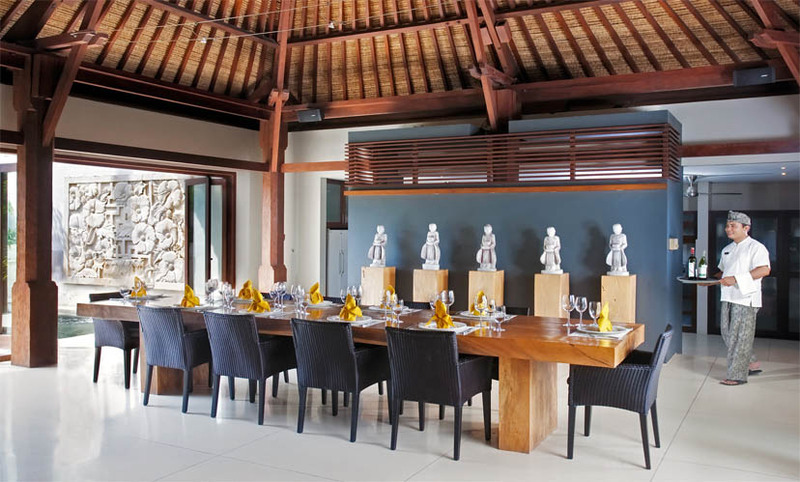 This villa for rent in Bali can host 12 guests in an environment showing the Balinese dreamlike lifestyle. 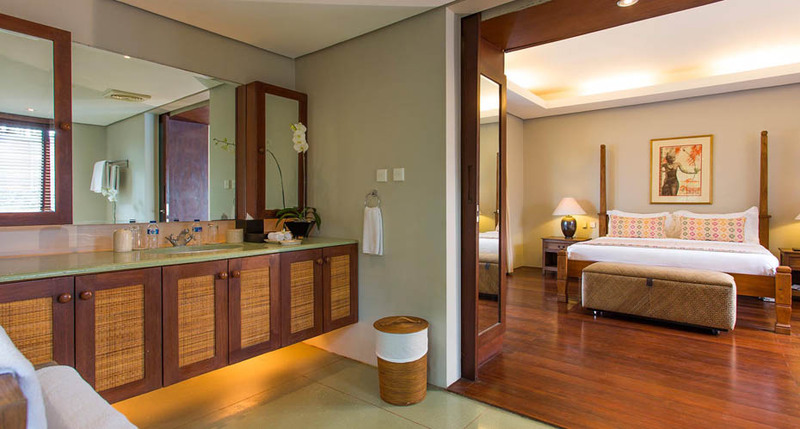 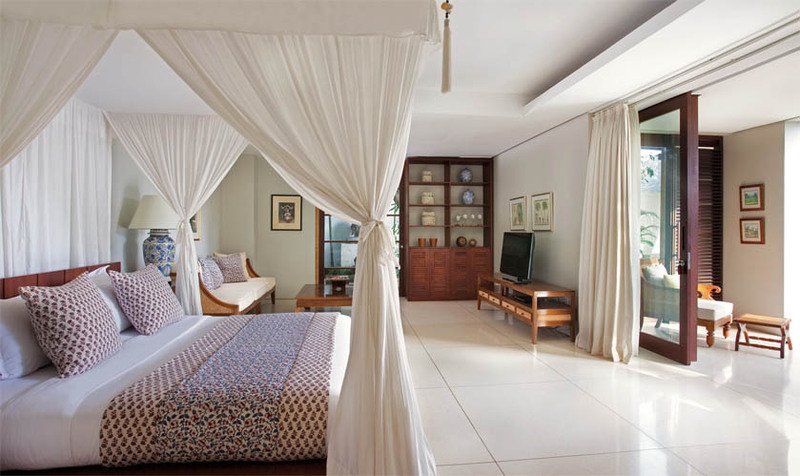 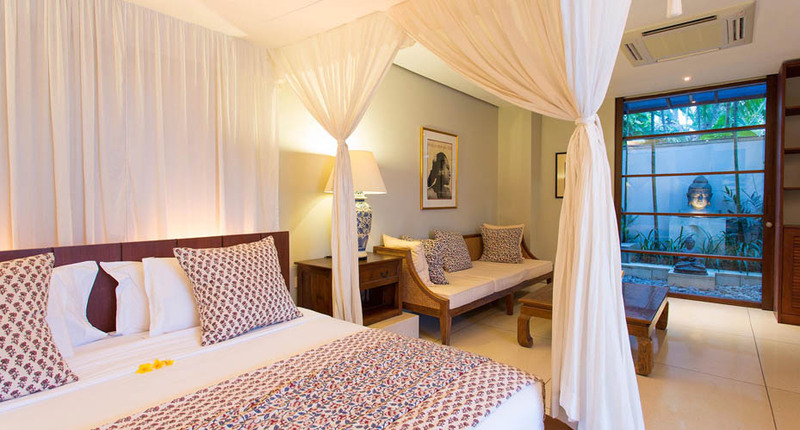 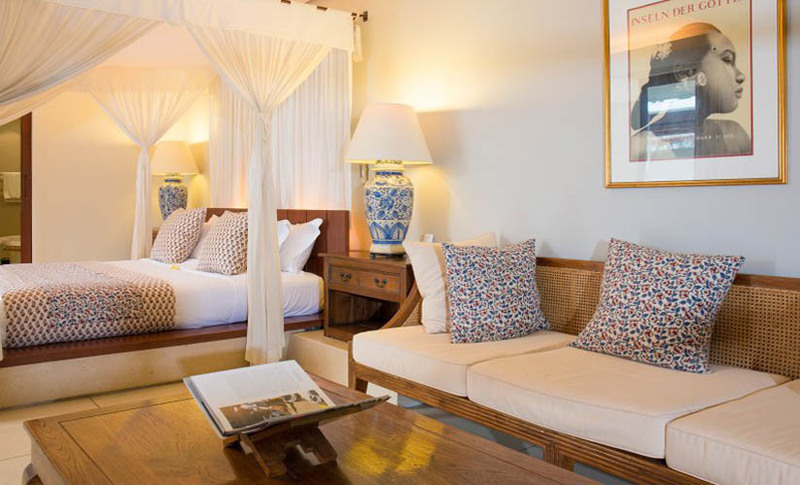 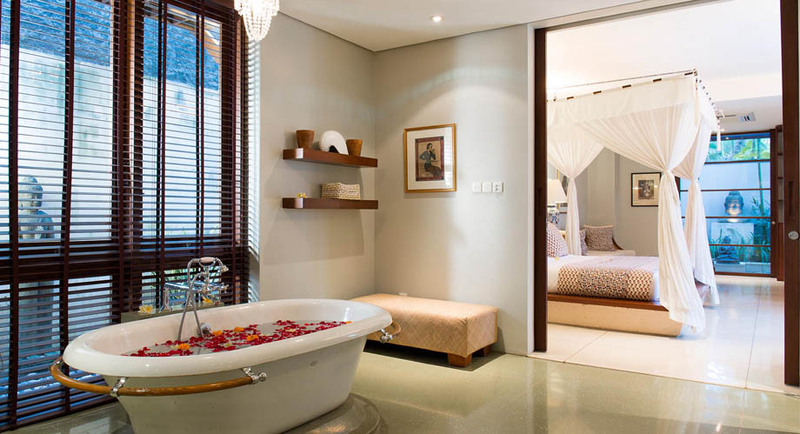 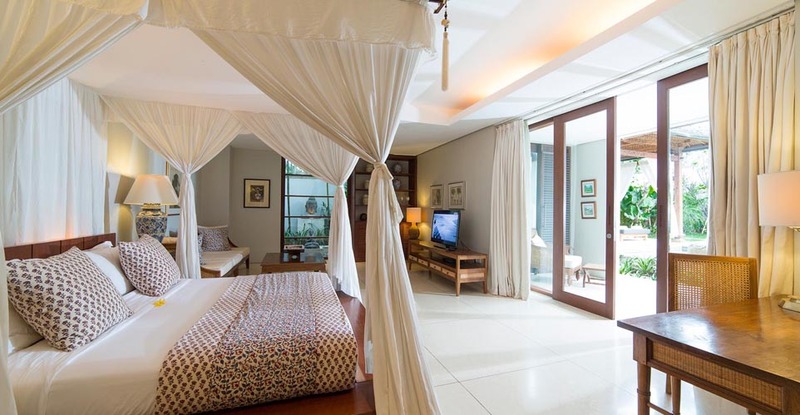 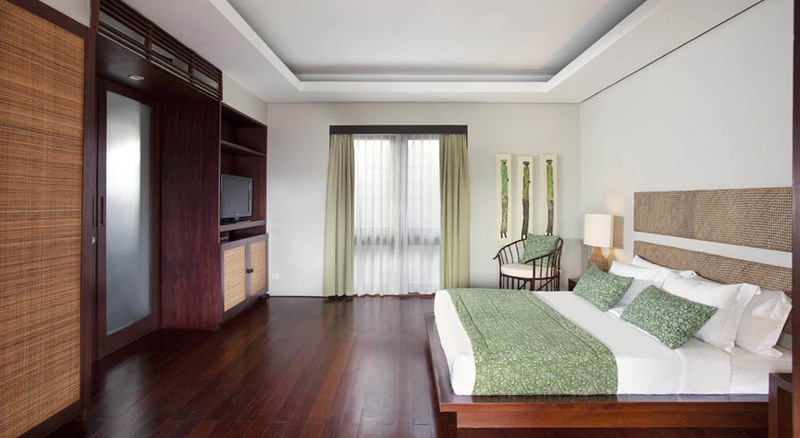 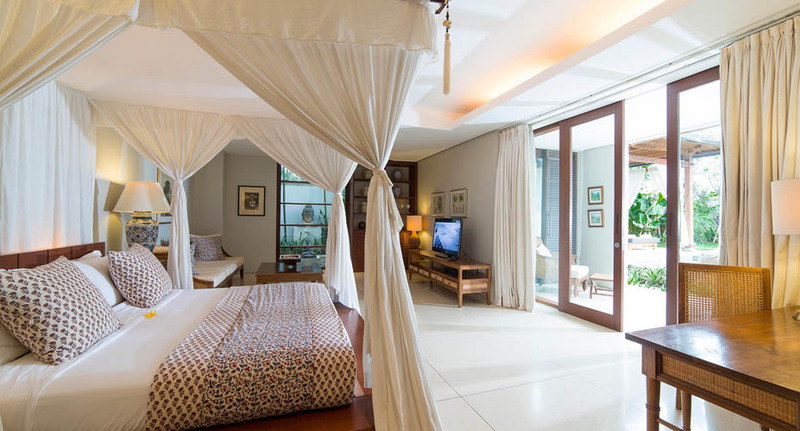 This Bali villa is composed of 6 beautiful bedrooms which can host 12 guests and more with extra beds. 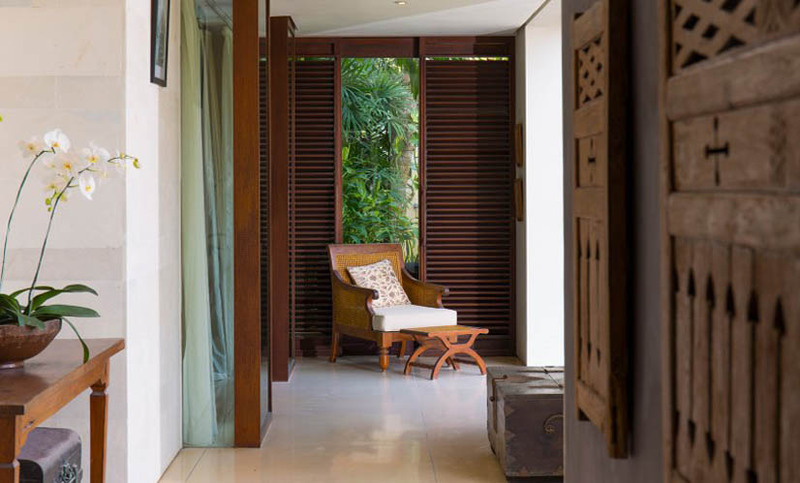 There is a lot of space and a lot of distractions throughout the house. 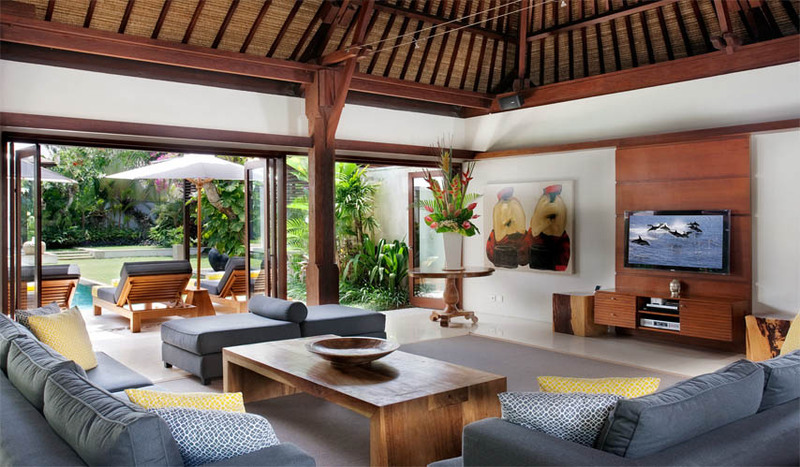 According to your mood, you can spend agreeable moments in the inside living/dining area or in the outside lounge to benefit from the tropical climate. 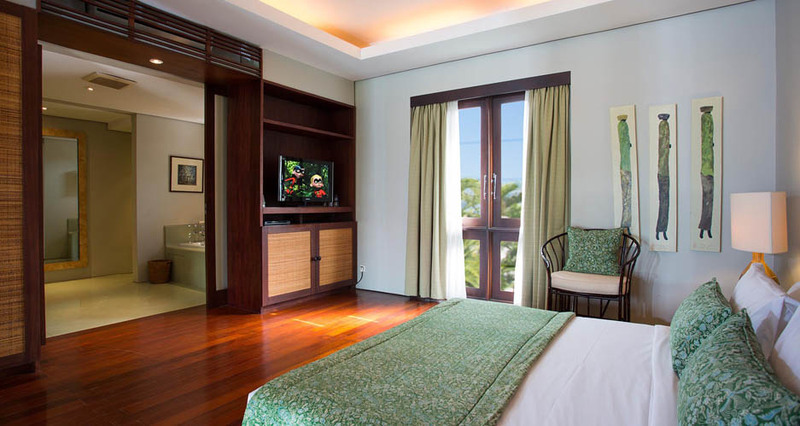 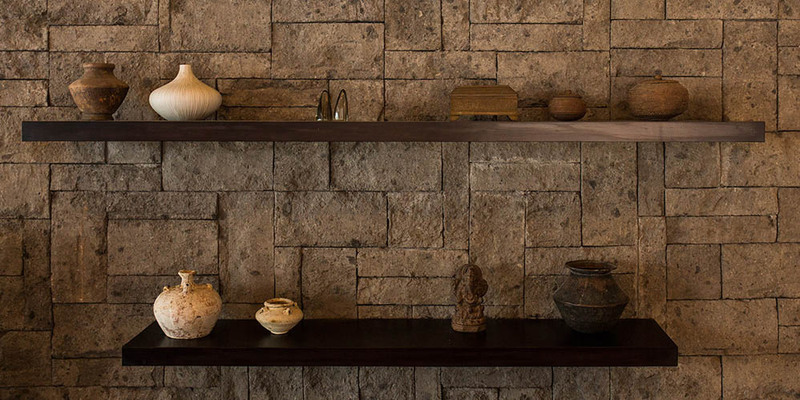 Regarding the amenities, everything was designed for leisure and total satisfaction. 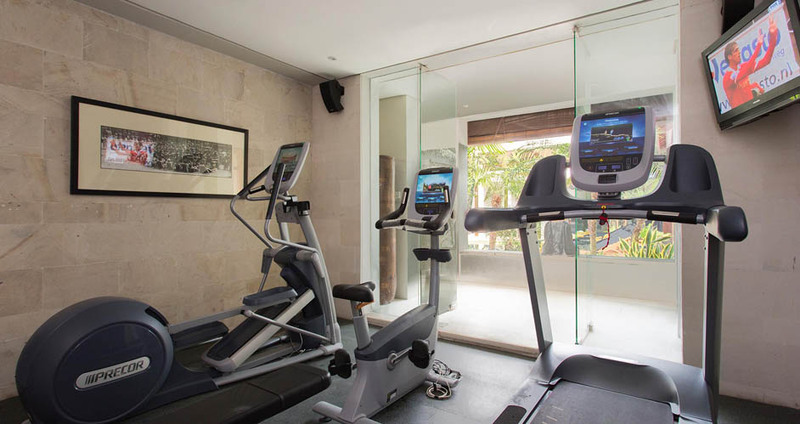 There is a media room is a PS4, several flat screen TV, audio sound system, and even a gym room for guests who want to exercise. 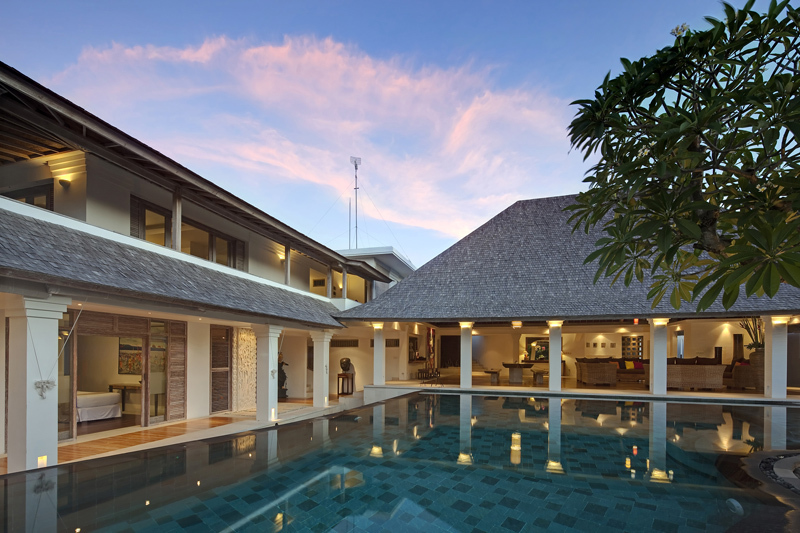 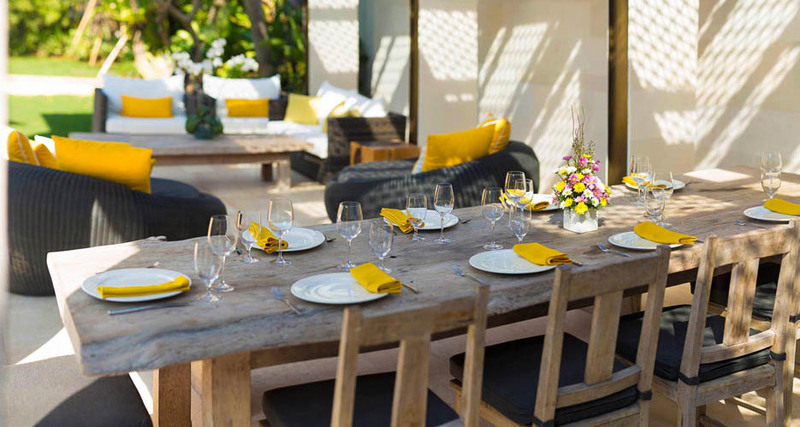 Therefore, everyone will be delighted; this elegant contemporary haven is perfectly suitable for a family or a group of friends, including many children facilities. 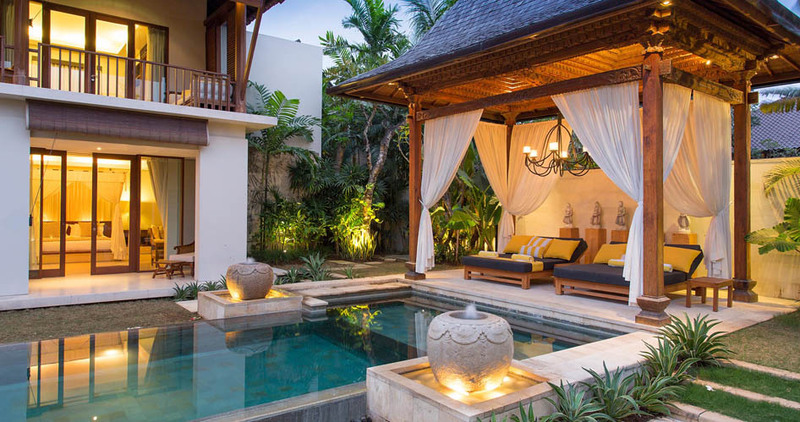 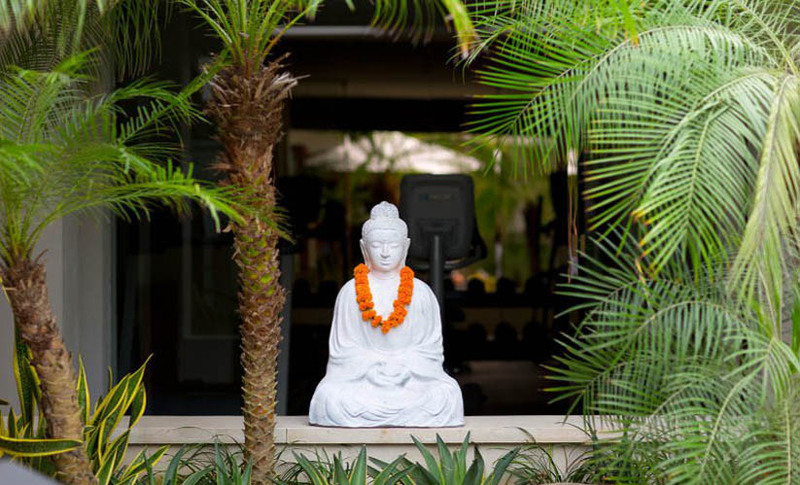 Outside of this rental, in addition to the splendid 16-meter swimming pool which you will love during hot days, you will be able to take advantage of the tropical atmosphere in the traditional garden pavilion named â��gazeboâ��, which stands on the poolside. 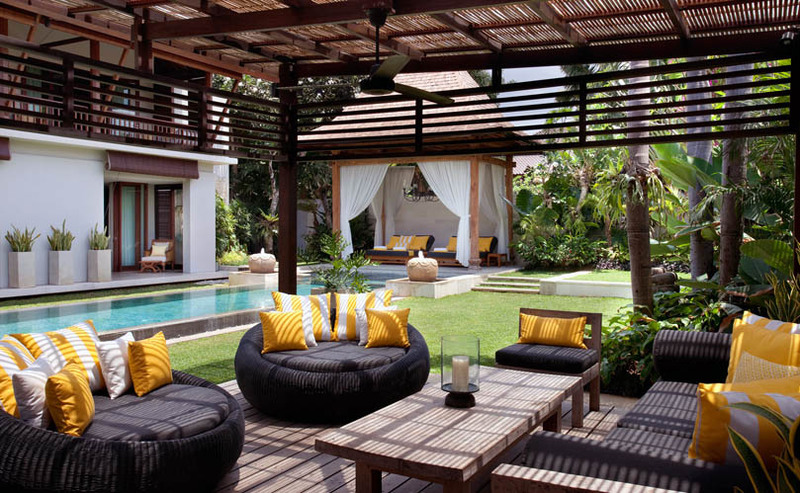 Whatâ��s more, the outdoor lounge is also a great spot to enjoy chill out. 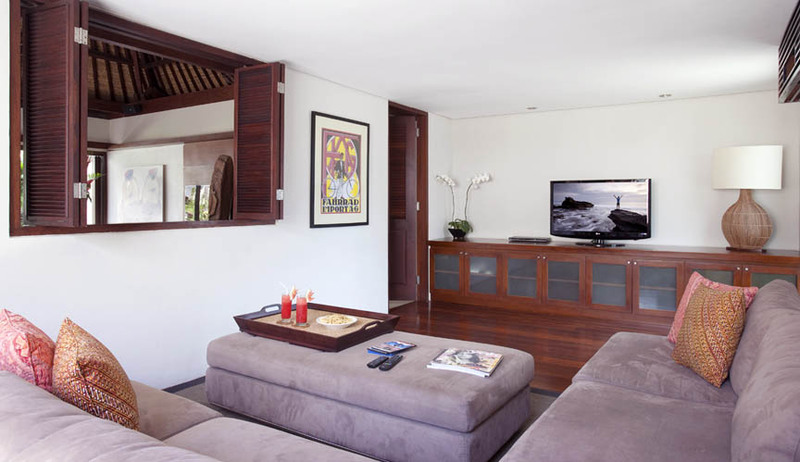 As soon as you will leave this terrific quiet property, you will reach the beach within 300 metersâ�� walking distance. 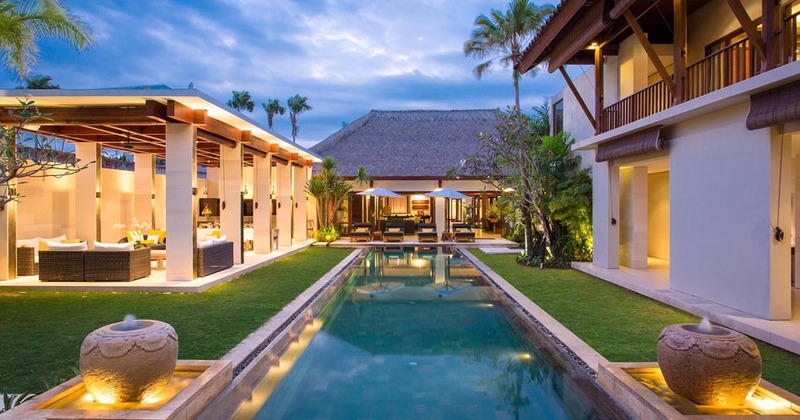 Several upper-class cosmopolitan hubs also stand nearby, such as famous Beach clubs like Ku De Ta, fashionable bars or even world-class restaurants. 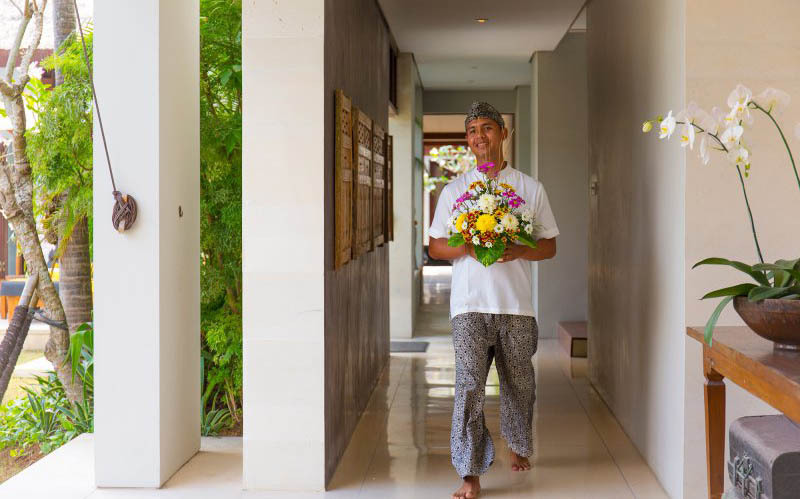 Finally, in order to provide you a 5-star service, a careful house staff will manage the cleanness while answering your requests. 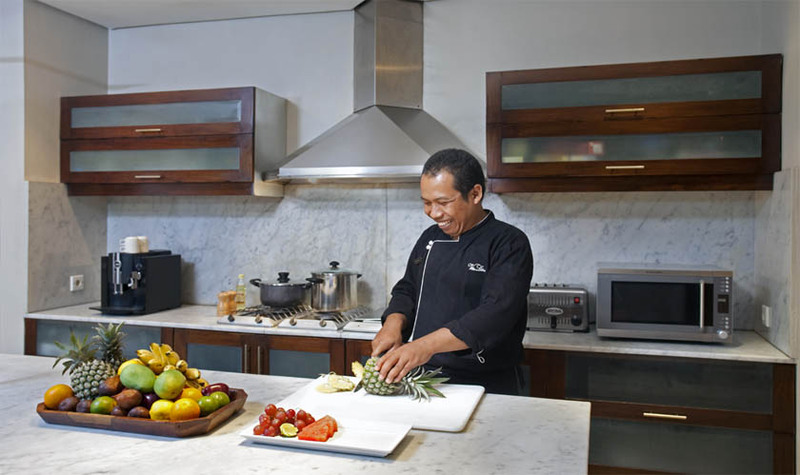 A chef is also available to enjoy in-house diners. 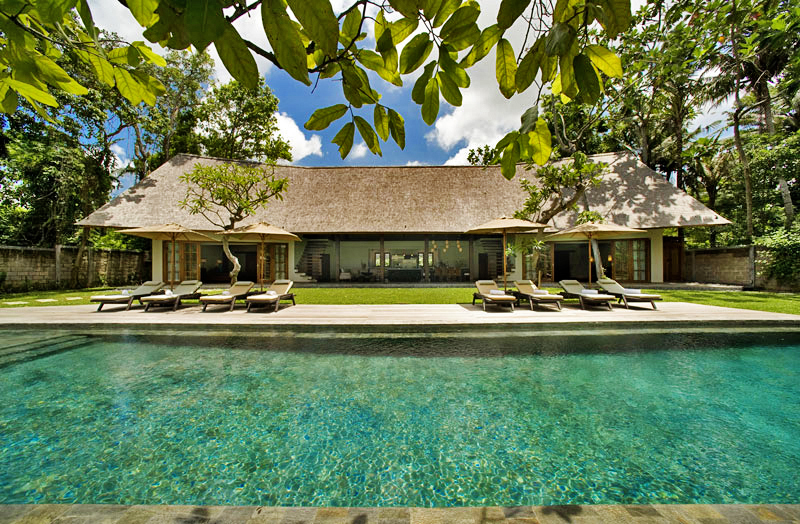 Moreover the team of Bali Je tâ��aime, Bali villa rental can handle activities and tours organizations to show you Island of Godsâ�� jewels, according to your wishes.